The New York State Department of Taxation and Finance conducts more residency audits and nonresident income allocation audits than any state in the nation. 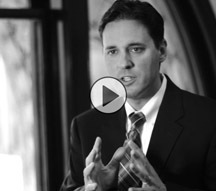 Hodgson Russ tax attorneys are at the forefront of many of these audits. In fact, high-ranking Tax Department officials have told us that Hodgson Russ handles more residency cases than any other law firm in the state. We have numerous attorneys and paralegals dedicated to handling residency cases. Our team includes former residency auditors and the former head of tax enforcement at the Tax Department. 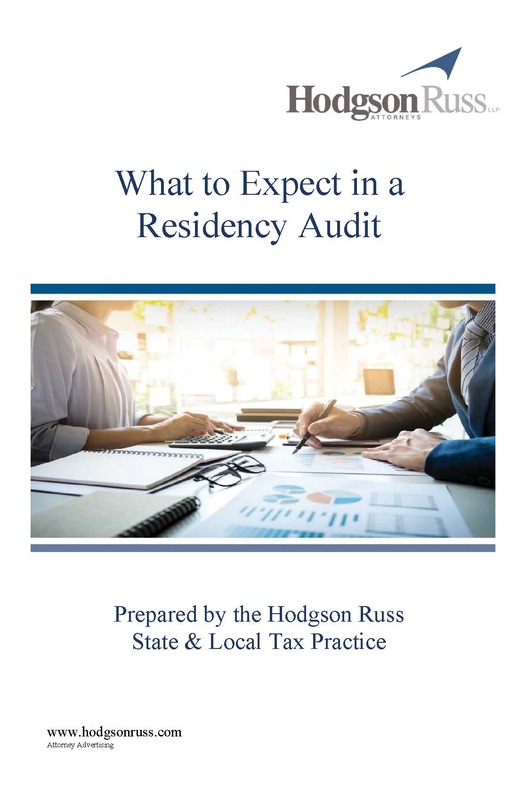 While many practitioners in this area need to read books and articles to understand how these residency cases work, the Hodgson Russ attorneys have literally written the book on New York residency audits. Tim Noonan, Paul Comeau and Mark Klein are co-authors of the 2018 “New York Residency and Allocation Audit Handbook,” published by CCH and of its previously published 2014 version. Tim’s monthly column in State Tax Notes, “Noonan’s Notes,” regularly addresses residency topics. The firm also publishes an easy-to-read, comprehensive handbook, What to Expect in a Residency Audit, that many practitioners use as a guidebook for handling residency audits. Our New York State residency team has handled some of the most controversial and important residency cases over the past few years, including Matter of Gaied v. (NY) Tribunal, a 2014 victory in New York’s highest court that redefined the standard for taxation under New York’s statutory residency test. Many of these cases have received extensive coverage in publications such as “Forbes,” “The New York Times” and “The Wall Street Journal,” to name a few. What Is a New York Residency Tax Audit? Taxpayers may get a letter from the New York State Tax Department ("Tax Department") alerting them of an impending residency tax audit. Taxpayers affected by an audit will be investigated to determine whether they are residents or nonresidents of New York State and/or New York City. Since residents of New York State are subject to different taxes, the results can be significant. If a taxpayer is deemed to be a New York State resident and has substantial investment income, they need to pay taxes on their worldwide income, meaning they may have to pay back taxes. If someone is a nonresident, they only need to pay taxes on a portion of their income, making this tax status important to defend. An auditor may claim that a taxpayer has changed his or her domicile by leaving an old residence and intending to permanently relocate to a new residence. Since it can be difficult to quantify feelings and intentions regarding residency, it’s important to consult with New York residency tax lawyers at Hodgson Russ LLP. Home. Auditors will consider many factors, including home maintenance and where one spends holidays and special events when determining where a taxpayer calls home. Time. The time spent at home and the time involved in moving to a new home can help determine domicile. Active business involvement. For taxpayers who are in business or still working, auditors may examine where business decisions are made, where someone works and how they participate in business or work in New York State or New York City. Personal items. Auditors will often examine where treasured and important personal items are kept, using this as a determination of where the domicile is. They may use insurance paperwork or other proofs to establish whether items of personal import and substantial value are kept at a specific residence. Family members. The location where family -- especially children and spouses -- live, work and go to school is considered important. Traditionally, this factor been considered important in cases where the previous four factors cannot be used to establish domicile. However, family members may be used as part of an ongoing investigation. Auditors are examining these factors and not just looking at the address on a driver’s license or voter registration to determine residency. Taxpayers who are concerned about any potential red flags should contact Hodgson Russ for representation and legal advice. Working with a tax residency attorney in New York can ensure that multiple homes or seemingly minor issues, such as keeping valuables at a second home, aren't used against a taxpayer in an audit. 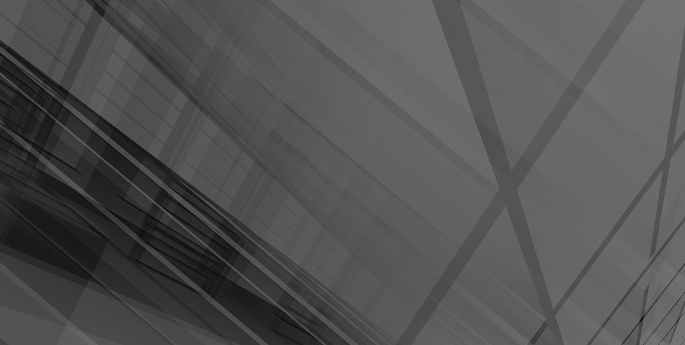 Our attorneys are also leading technological changes in this area. As special legal advisors to the technology company MONAEO, Tim Noonan and Mark Klein assisted in the creation of a GPS-powered smartphone app and software service to help taxpayers track their time spent in various locations for tax purposes.